Yesterday, we came to my father’s place for Maha Saptami and Maha Ashtami. I was quite sure that the boy needed to take rest the whole day. To my surprise, he kept pestering my Dad to take him out for pandal hopping in this locality. My 70-year-old father gave in without much argument. Three of us from three different generations spent the entire afternoon visiting pandals, some of which were even new to me despite having spent the first eighteen years of my life in this house. Now I know from where I get my love for unplanned and impulsive trips. The fascination for #TheBlindList has been passed on by Dad to me and I guess I have already managed to pass some of the craziness to my son. We had to give a break to exploring new pandals last night lest he fell sick again. To keep him occupied, I started narrating stories about my childhood experiences of puja pandal hopping with him. We spoke about the grand bhog that is such an essential aspect of puja and that is when something struck me. For years, my father has been closely associated with the pujo opposite to my pre marital home or ‘parar pujo’ as spoken in colloquial Bengali. The ground floor of our house is given out to the puja committee for the last four days so that they can store the necessary items. Bhog or the food offering in the form of khichudi/khichdi, khyaat/mixed veg, polao, payesh/rice kheer, dum aloo, chutney and some special delicacies are cooked here. The preparations begin two days in advance and it is a sight to watch so many people involved in peeling, chopping and cooking for the grand feast. I decided to open up this new world to him. When I sat and reflected on what puja is all about, I realized that it was definitely much more than the gorgeous pandals, the glittery decorations and the beautiful clay idols of the Goddesses. One of my closest childhood friends belongs to a different religion than mine yet I vividly remember the couple of years when we cycled to different pandals together. Yesterday she sent me pictures of the pujas she had visited with her daughter while I forwarded her the ones that I had covered with my toddler. And that’s how it has always been. Durga Puja in Bengal is definitely much more than just a religious festival. It actually ends up bringing people of different religions, caste and creed together for a common purpose and celebration. Until a few years ago, transgenders were mistreated when they visited pandals but it was so heartwarming to read about them inaugurating a puja pandal in Kolkata this year. Sindoor khela, a tradition followed by married Hindu women on the last day of pujo is basically about smearing vermillion powder on each other’s forehead as Devi Durga starts her return trip to her heavenly abode. But for the last couple of years there has been voices speaking about inclusion of every female, irrespective of her marital status in this festivity. And if one considers the fact that our puja has no restrictions even on eating non vegetarian food, it won’t be unjustified in saying that here’s a festival that has always been a champion of social change and is continuing to inspire these reforms even today. Every year, pandal hopping, eating mouth-watering street foods like phuchka (bengali golgappa) and egg rolls and relishing delectable bhog formed a part of my Bucket list. But my open-minded approach towards the festival this year made me appreciate its lesser acknowledged facets of breaking social taboos. Through #TheBlindList, I discovered how much potential a celebration had in being inclusive and how an army of people could come together to create something so magical and impactful. We went pandal hopping today afternoon again despite the scorching sun because it is only recently that we have started enjoying travel to explore. But the planner in me has taken a break, so I am not stuck up on when and where to visit anymore. All I know is that this year I’ve learnt the positive effects of taking life as it comes even on a daily basis and I’m enjoying every moment. I have finally learnt to let go of the obsessive need to fulfill my wish list in every scenario and have instead chosen to #SayYesToTheWorld just like the stories of explorers in this video. 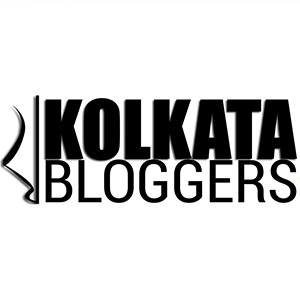 This post is also a part of the #bloggersdurgapujo series. I really don’t like to go out as much as many others. Living vicariously through your posts. Ah sorry to hear your LO is unwell- hope he gets better soon Sonia. I get to enjoy Durga Puja, courtesy a few Bong friends who take me along. Its something I look forward to and will be heading out today both in the morning and in the evening to do full justice to the pandal hopping. Thank you for sharing this post- its heart warming to see how religion takes a back seat as celebrations take over and its that spirit that brings people together – the whole purpose of every religious ceremony is just that! Wish you a very happy Durgo Pujo!!! The whole scene changes during these festive days. I have never done pandal hopping but got a glimpse of what it would be after reading the lovely post. It indeed gives a festive feeling. Thank you so much for showing us the pandals and the pomp and joy of the festival. I hope the kiddo is feeling better. Awesome post Sonia. Being from south India iam unaware of details about pooja. Good to know about Durga pujo. 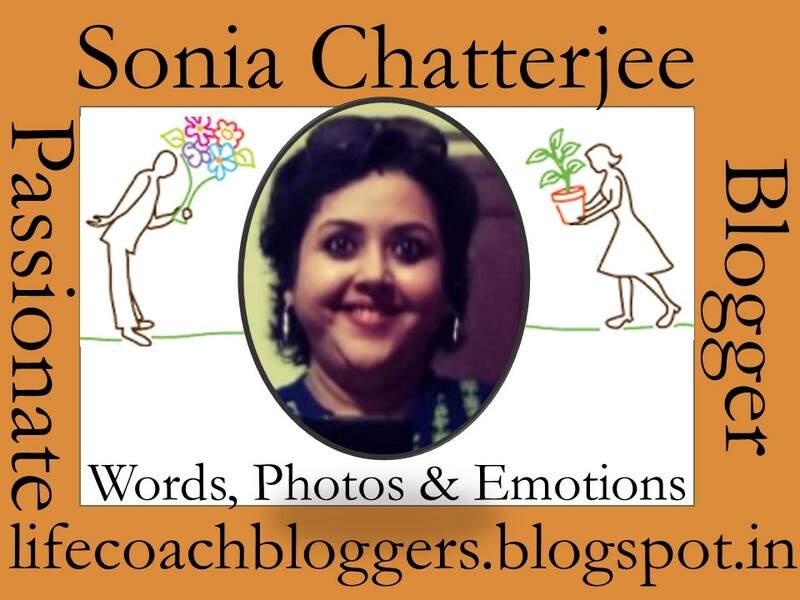 Very well written post with beautiful pics of Goddess Durga 👍 Sonia. Thanks for the nice virtual walk through of pandals. Wow, Sonia..how much you have travelled for work and otherwise. Loved your narration along with beautiful pictures. It’s my long standing wish to travel to Bengal during Durga Puja and enjoy the festival firsthand there. This narrative is so beautiful, that it revived some lost long memories in my heart. I welcome Mahalaya with lot of hope and love, missing Ma terribly who always motivated me to wake up early and listen to the radio broadcast. I had thought of writing a post on Mahalaya that day but it got lost in translation to the clutches of flu that gripped all of us at home. Just like you Pujos for me are entwined with Ma’s memories. This is my first Pujo without her and you won’t believe it but, sitting here in Gurgaon I still haven’t gone to a pandal, and I can barely feel it’s pujo time. Not because of anything else, but primarily due to the busyness of life. But on the hindsight, the good thing is I am traveling to my paternal home tomorrow for Novomi with my girls. And spending some time with my father and will get a chance to eat Bhog and pay my obeisance to the Goddess. Also be with the Babi who is one now without Ma at this time of the year. If I am able to pack on time today, I might visit one of the pandals this evening. I hope your little wonder feels better soonest. You all look so wonderful; glowing with so much of love. Bless you loads. Have missed you on #WordlessWednesday and forgive me for not commenting, owing to various personal reasons. But do promise to make up. Suhbho Ashtomi and a very mystically blessed Bijoya, dear Sonia. P.S. : Heart warming to see how you are bringing up your child inculcating in him, our the culture and taking him through pujo stories. Inspiring indeed. I had few Bengali friends and I know how great the durga puja celebration they have. your post has reminded me those days. beautifully written. Taking life as it comes…that last line is what we need to remember.Well, at least I need to, considering there are times when I want to hold on to something, some moments and hope that that is how life will be always! Thank you for this wonderful darshan of Maa. Sonia. I believe I have a special connection with Durga Ma…each time I visit Her pandal, I stand mesmerised by Her aura radiating from the idol! I get a lump in my throat every single time that I stand in front of Ma. Beautiful Sonia! How you’ve managed to encapsulate the spirit of this auspicious occasion, especially heartening to note that transgenders are also welcome and inaugurating the pandals! More power!! I love everything about Pujo and look forward to reading about it , from different perspectives. Wishing your son a speedy recovery and hope Maa blesses you and your family abundantly. Friends and family keep suggesting me that I should visit Kolkata during Puja and experience the “Pandal hopping” because it is one of its kind of experience. I’m yet to do so. What can be better than spending time with family during the festival? Great write-up as usual, Sonia. I love the festive vibe your post emits. Got to experience a virtual tour through Kolkata’s famous Durga Pujo. I almost felt like I was there, pandal hopping with you. Through your posts I came to know most of the Bengal traditions of Durga Pujo.. First time read about Pandal hopping. Beautiful post, a nice virtual tour of the Durga puja. Durga Pujo is not only a festival but its an emotion. It’s in Bengal’s DNA.